So two months is too long to not have popped in here to say hi. Let's just say October and November were off the charts busy, but now I'm finding a quiet moment on a Mid-December afternoon to say hi. I've got a little Baileys in my coffee (because it's December), and a gingerbread cookie (or two) keeping the coffee company. My old grey cat is curled up in a ball by my feet and when the furnace cuts out I can hear her purring. It's cozy, to say the least. The last few days have been particularly awesome around here. I received my first royalty cheque in the mail (!!!) - and it was a pretty darn good feeling to tuck it away into my savings account. Huge thanks to everyone who has purchased my cookbooks far this year. I wish I could hug you all! And! 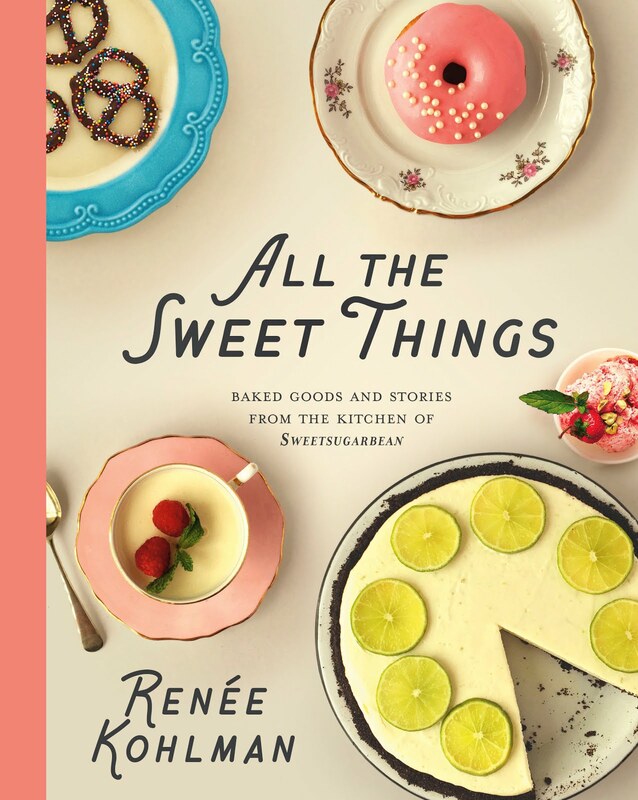 I found out that All the Sweet Things won a Gourmand World Cookbook Award! 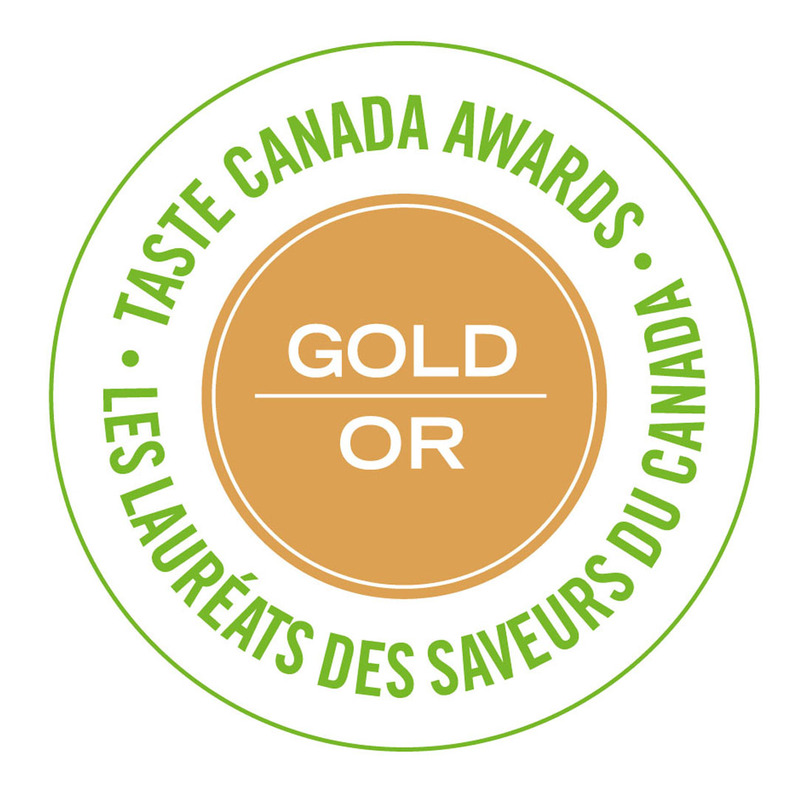 My cookbook won the national competition in the Best First Book category and will go on to represent Canada at the Gourmand Awards Ceremony in China May 2018. Exciting stuff! No, I won't be going to China to cheer it on - but my heart and spirit will definitely be there. What a wonderful early Christmas present! It's beginning to look a lot like Christmas around here. My love and I put the tree up on Sunday night, and miracles of miracles the cats have not given it a second glance. No doubt they are just waiting for the proper moment to strike a glancing blow at an ornament or two. 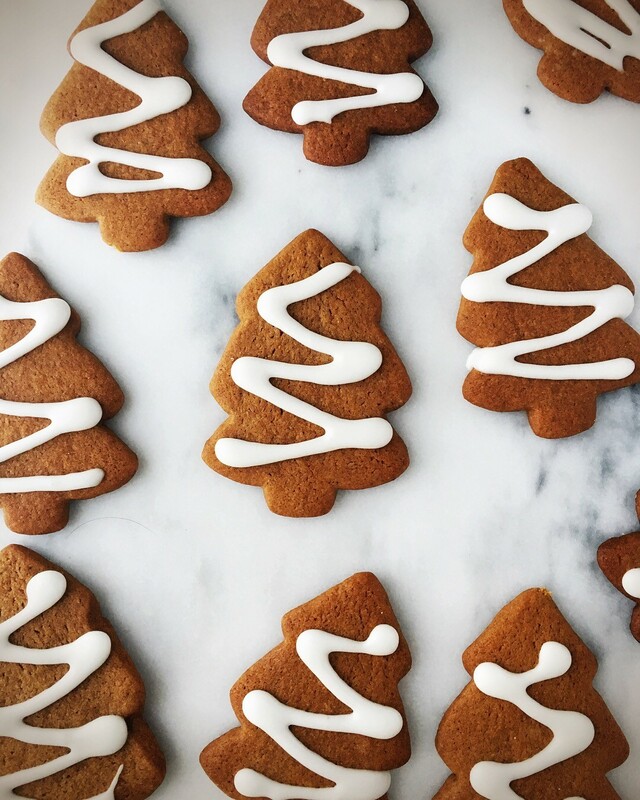 I've been baking up a storm for various book signings around Saskatoon (I'll see you at the Night Market at the Farmers' Market on Thursday December 14th 4-8 pm), and there's no better smell to get me in the holiday mood than gingerbread. This is the recipe I adore, and it's in my cookbook too. 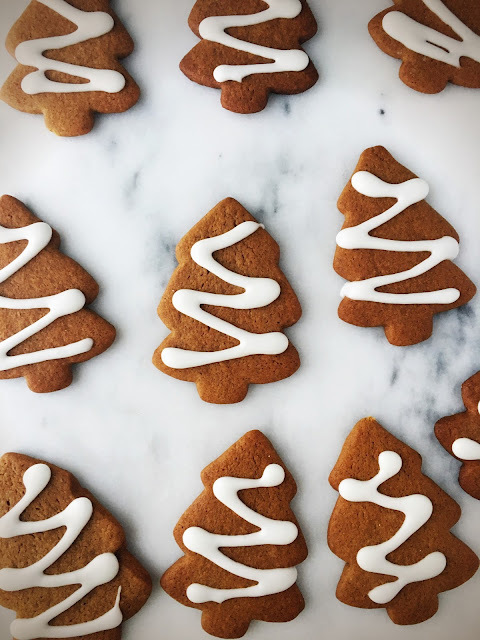 The lemon icing balances out the bite of the ginger, and how pretty is that drizzle?! 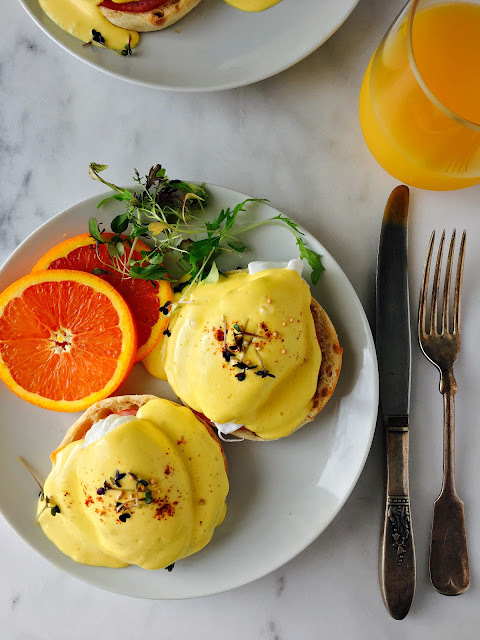 Here are some other favourite holiday recipes from the blog and other places I've been writing for. Promise I'll be back later this month with a brand new recipe. Stay warm and cozy! These stuffed mushrooms are one of the most popular recipes ever on the blog, and deservedly so. A perfect holiday appetizer if there ever was one! Baked brie is one of my favourite snacks to tuck into over the holidays. This one has caramelized pears and bacon. Yum! I love stuffing so much and this Apricot and Pecan version is one of my favourite side dishes to go with the big bird! Watermelon and pomegranate are so pretty in this salad with feta and mint! Raspberry Jam Jams bring back such good childhood memories. If you have a copy of my cookbook, you know how much I love them! Holiday desserts are what I look forward to most, and I wrote about Angel Food Cake and Pumpkin Tiramisu in the December issue of Culinaire Magazine. Edible gifts are where it's at, and for my latest column in the StarPhoenix I write about making vanilla extract for the baker in your life and my favourite caramel popcorn - perfect for sneaking into movie theatres over the holidays! 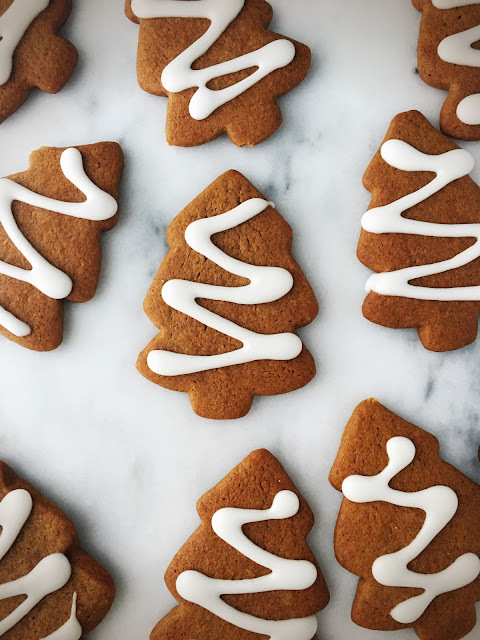 I wrote about these Gingerbread Trees and my favourite white chocolate blondies in Celebrate! Gingerbread French Toast. It's a thing! 'Tis the season for cozy comfort food, and I wrote four recipes (skillet meals; pumpkin muffins) in the latest Recipe Collection for Lentils. I love baking with flaxseed and you can find some of my recipes on the Healthy Flax website. Those pumpkin scones and energy orbs are perfect for the holidays! I collaborated with SaskMustard on a wonderful cookbook this year. Lots of delicious recipes for entertaining can be found here, including Eggs Benedict with Zippy Blender Dijon Hollandaise - perfect for holiday brunching! Thank you so much, Dix! Glad you like them!